MINAHASA SELATAN - The Sulawesi electricity system, especially the North, Central and Gorontalo (Sulutenggo) systems are increasingly reliable with the operation of the Amurang Steam Power Plant 2 (2x30 MW). This power plant is leased by PT. PLN (Persero) from PT Mega Daya Tangguh in the PT PLN (Persero) Amurang South Minahasa power plant complex, North Sulawesi. 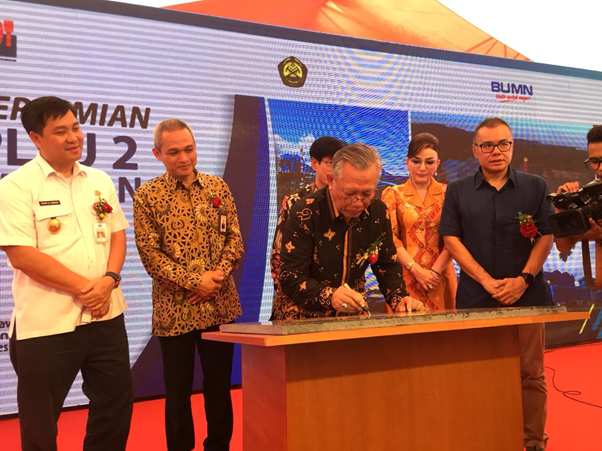 The Director General of Electricity, Andy N Sommeng, at the inauguration of the PLTU, Wednesday (3/10), said that the additional capacity of the two power plants would make North Sulawesi conditions better. He said, the electrification ratio in North Sulawesi up to June 2028 had reached 96.45%. "It is hoped that in 2019 it can reach 99%," said Andy. Unit I of this PLTU has been operating commercially (COD) since January 22, 2018 while unit 2 is April 19, 2018. During the construction phase, the project uses 450 people and operations phase uses 150 people. The investment cost of this project was reported to be 75.2 million USD. In addition to increasing capacity at the Amurang PLTU, efforts to electrify North Sulawesi continue to be carried out by developing an intelligent network technology pilot project in the form of a hybrid power plant developed on several small islands in North Sulawesi such as Bunaken, Papusungan, Manado Tua, Bangda Talise, Nain, Mantehage , and Gangga. Andy hopes that this vital project is safeguarded from various disturbances. Finally, he hopes that the absorbed worker in this project is local labor so that it can reduce unemployment in South Minahasa Regency.